We’re Lisa and Tom, a brother and sister team with a passion for creating and eating good, whole, real food. It’s this passion (and a little know-how gathered from a background in food magazines), which lead to the creation of eatwise. 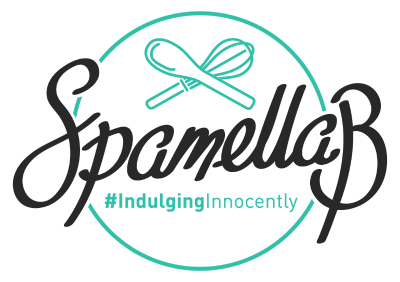 Our mission is to show that healthy eating isn’t about deprivation, calorie counting, expensive ingredients or time-consuming recipes. And while we’re not experts, nutritionists or chefs, we do have ideas – lots of them – that we simply want to share. We’re suckers for a sweet breakfast and we also big fans of eggs… So when we discovered a way to combine our two loves, this idea became a firm favourite. This is our preferred way to make a sweet omelette. Ready in just 10 minutes, it’s so simple to make, keeps us full for ages, and it’s delicious – a real fruity, feel-good start to the day. 1. Whisk together the eggs, cottage cheese and 1 tsp honey with a fork until combined. 2. Place the blueberries, water and 1 tsp honey in a small saucepan and heat gently, stirring from time to time, for about 8 minutes until they become sticky and syrupy. 3. 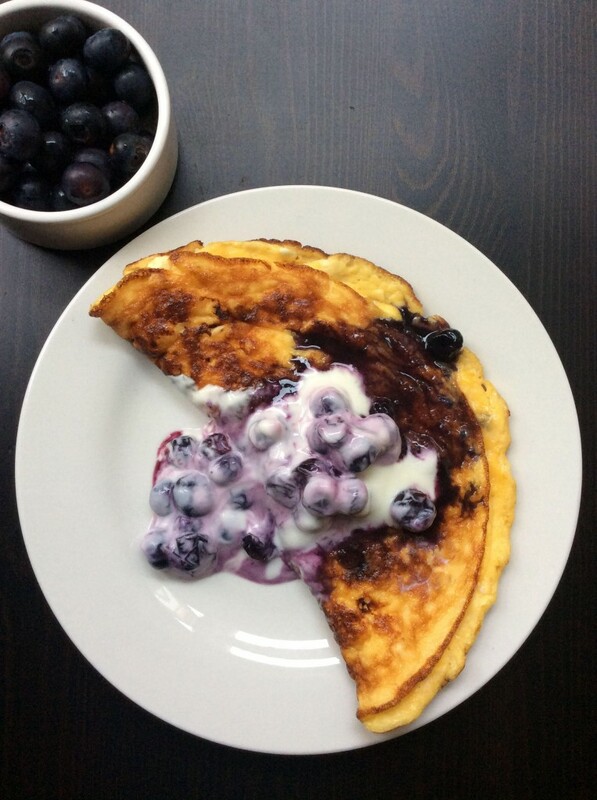 While the blueberries are cooking, heat a small, non-stick frying pan on a moderate heat and heat the coconut oil. Pour in the egg mixture and cook for 5 minutes until almost cooked all the way through. Then carefully fold in half with a spatula (the underside should be golden brown), press down slightly and continue to cook for a further 1 minute until just cooked through. 4. Serve the omelette with the blueberry sauce poured over and a spoonful of natural yogurt. 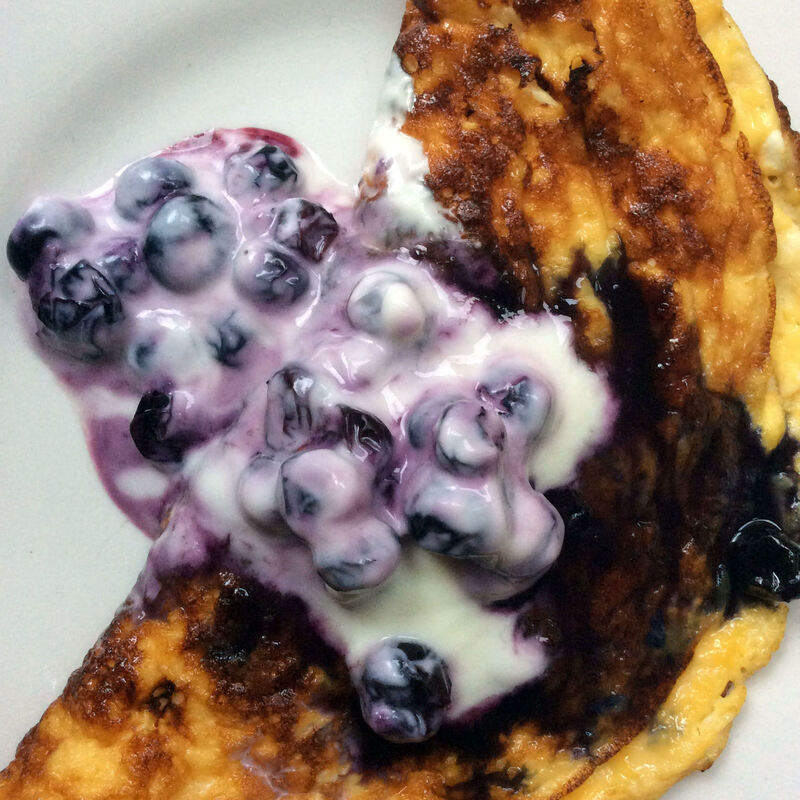 Recipe notes: We usually make this with the blueberries incorporated into the batter, but I actually prefer it this new way – and it’s so easy as you can leave the blueberries to cook while you get on with the rest of the omelette.